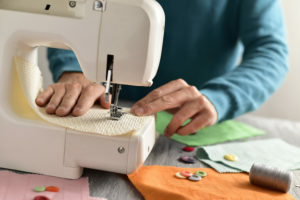 At Sewing Center, we like to push ourselves to go above and beyond what our normal customers have come to expect, which is why we strive to offer the best sewing classes in Galesburg, IL. At our store, you can interact with trained sewing machine technicians who understand everything about the latest and greatest sewing machines from brands such as Brother and Singer Service. After spending so much time with these machines and the material to use along with them, it only made sense to begin teaching our clientele everything we know so they can perform better at home. We are currently an authorized dealer for a variety of manufacturers, including Brother, Juki Home, Sun Heat, Handi Quilter, and Singer Service. Seeing as this is our career, we know all there is to know about these sewing machines. If you are interested in trading up to a brand new sewing machine before our next class takes place to get a little practice in, we currently have a trade-in program for our customers. You can bring in your machine within one year of purchase and select a new sewing, quilting, or embroidering machine. As your skills begin to grow with our classes, your machine can, too. While learning new methods and tactics with us, you will feel your experience with this hobby or profession growing exponentially. We teach the latest methods, with the newest machines and the best material available on the market. Only quality works for us, so we offer nothing less for our customers, too. You can reach out to us via our official website or give us a call. Or, if you’d prefer to visit in person, we’d love to have you in our store this week! There you can get a firsthand look at all we have to offer and then some!